Unwanted guests are never fun, especially when you can’t ask them to leave. Luckily, Welland pest control companies have no problem kicking them out. Whether there’s a rodent in your basement or insects in the attic, call your local Welland exterminator to take care of them — do not try to wrangle them out yourself! 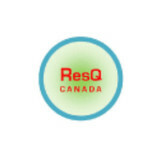 Not sure which type of home pest control service in Welland, ON can tackle your issue? Read profiles and ask about their past experiences to get a good idea. Niagara Pest Control is a local pest removal, control and pest extermination service providing company in Niagara Falls, Welland, St Catharines and Fort Erie, Ontario. We are providing Pest exterminator, Ant Removal, Bed Bug Extermination, Flies Extermination, Rat Control, Cockroach Treatments, Spider Treatments and other pest control services. 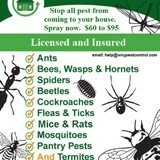 We have licensed and insured pest exterminator professional team. All professionals are experienced and highly skilled in eliminating any type of pest. 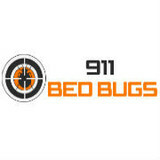 We also serve commercial and residential pest control solution. We give Fast, effective, safe, 100% customer satisfaction and guarantee our work. We can protect your pets, family, and home with affordable prices. So don't think about your budget, we will fully try to do work according to your budget.Pick your phone and call us289-273-2288. And tell us about your pest problem. Is your home overrun by pests? From rodents to cockroaches, ants, and wasps, count on Al's Insect & Pest Control! Stink We offer exterminating services to customers throughout Western New York. 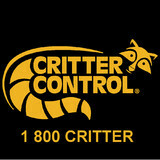 Regain control of your home and give Al's a call, no matter what kind of creature has moved in. Al's Insect & Pest Control was established, licensed and insured in 1994 and has served Buffalo, NY as well as Erie and Niagara Counties since then. If you need expert exterminating services, we can help. General pest control requires an understanding of the safety associated with the handling of pesticides and application procedures. Al's takes the necessary precautions to ensure customer safety, all while making sure your home is pest free! Good Riddance has provided quality pest control services to the citizens of Buffalo, NY and surrounding areas throughout Western New York. Our pest control division provides residential and commercial pest elimination services for everyday nuisances including bees, wasps, hornets, spiders, bed bugs, ants, carpenter ants, cockroaches and fleas. If you find yourself in need of wasp control, bee control and rodent control, contact Advanced Exterminating. Our company has been in the exterminating business for over thirty-three years providing effective, economic and efficient service for Buffalo, NY and surrounding areas. We offer full insect removal, roach removal, ant removal, and rodent removal services for both residential & commercial clients. Our exterminators are fully trained NY State licensed & insured. Call today for bee control services! B&C Exterminating offers a wide range of exterminating services to keep pests around your property under control. We serve the Buffalo, NY community with pest control services designed specifically for each customer's unique situation. 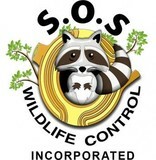 Our services include wildlife and animal removal, bee removal, bed bug removal, as well as general pest control. If you're experiencing a problem with pests or rodents on your property, we're the exterminating service to call. For pest control and wildlife management services, call Pest RX. Pest RX is a company owned by The Tree Doctor and is operated by trained and certified pest control technicians. Also, it is important to know that we are licensed New York State Department of Environmental Conservation (NYSDEC) under the auspices of the Federal Insecticide, Fungicide, and Rodenticide Act (FIRFA) of 1975.